How cute is this snowman, he’s ready to hit the slopes and go skiing! 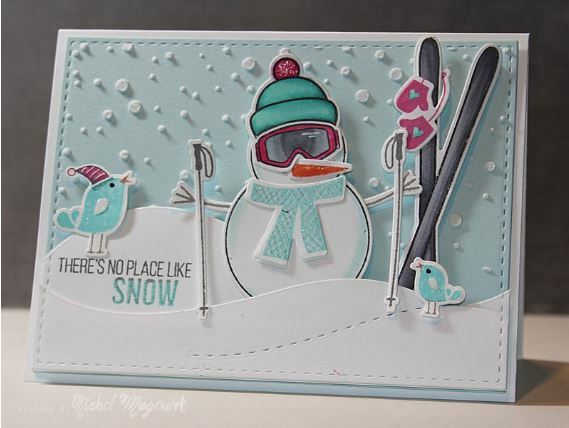 Nicole Magouirk is sharing a video on her blog showing how to make this cute winter scene card using stamps and die cuts from Simon Says (product links are at the bottom of her post). I particularly love how she got the ski goggles to look like they had a reflection, she used alcohol inks and a white gel pen to achieve that look and it looks so real! Click here to watch her step by step video tutorial.